Israel’s 2018 Eurovision title is in doubt, after Universal Music reportedly accused the winning entry, ‘Toy’, of infringing on the copyright of a song by defunct rock duo The White Stripes. Universal Music, one of the world’s largest music companies, has sent an intention to sue notice to the Israeli songwriters behind ‘Toy’ — the feminist anthem performed by singer Netta — according to The Times of Israel. Netta’s performance brought her home the Eurovision title for Israel in May, beating out Cyprus by nearly 100 points. 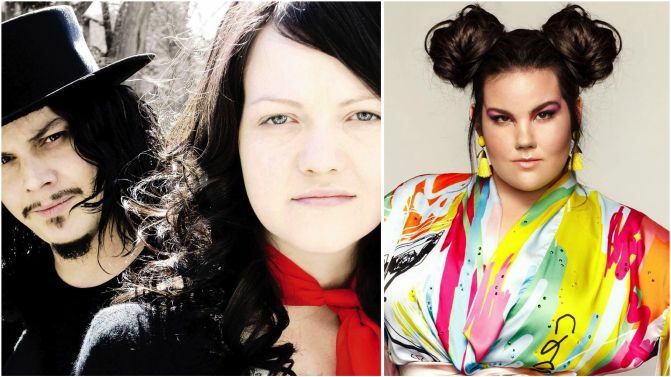 But Universal Music reportedly reckons the song is not an original, claiming Netta’s ‘Toy’ is actually a rip-off of The White Stripes’ 2003 classic ‘Seven Nation Army’. One of the co-writers of ‘Toy’ is reportedly heading to the United States to try and solve the legal issue. If the case proceeds, it’s not just a matter of paying royalties. The Eurovision rules state that the winning entry must be an original, and must not bring the competition into ‘disrepute’. “[We’re] surprised to receive such a letter and we are taking care of it… I believe the issue will be successfully resolved in the next few weeks to the satisfaction of all sides,” the co-writer said. There are claims that the songs have a similar baseline, but Universal’s attorneys have reportedly claimed there are also similarities in the two songs’ rhythms and harmonies, notably in the string sounds used in ‘Toy’. Compare ‘Toy’ and ‘Seven Nation Army’, below.